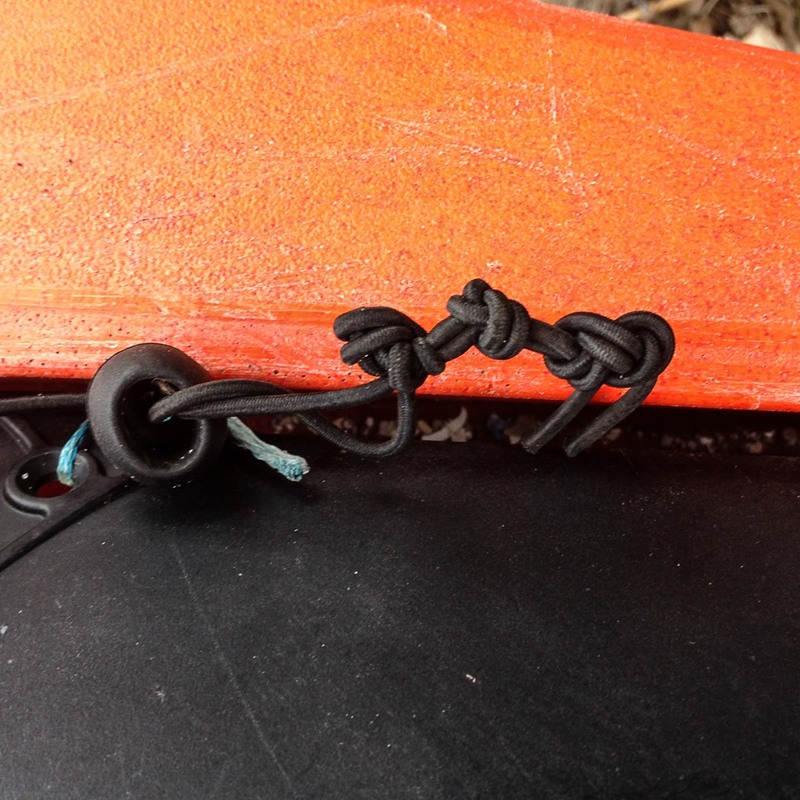 Replacing the downhaul elastic on a P&H kayak rope skeg. 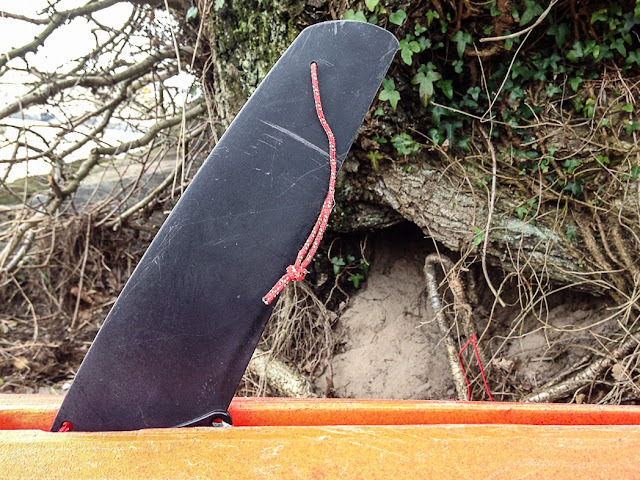 If you have had your kayak for a while, the chances are that the skeg is not deploying fully. 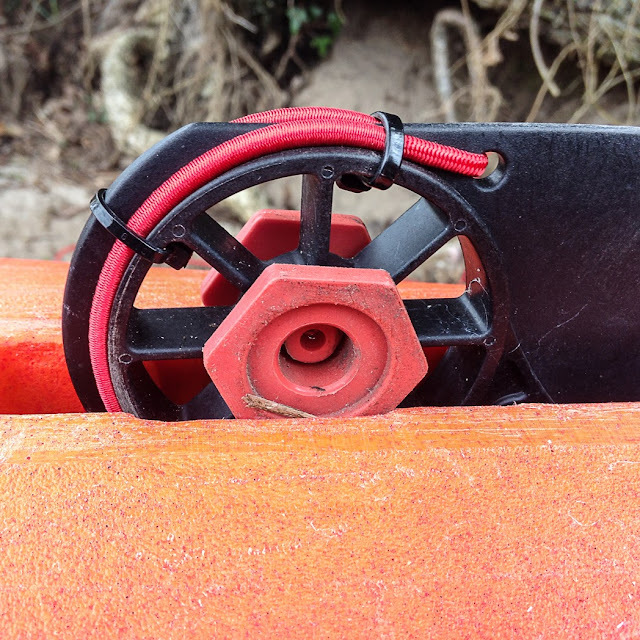 The elastic is retained by a stopper ball which slots behind some raised bars at the rear of the skeg box. Initially it is worth shortening the elastic by tying another knot in it. I have already done this twice so time for a new elastic. ...replace with new elastic. Clean out all sands, bits of shell, stick etc. before reassembling. I have added an extra small cable tie but watch your ties do not stick in the box. The blue uphaul rope should run between the two ends of the elastic which run back to the stopper. I have used 4mm elastic. This Delphin was originally fitted with the mark 1 adjustment slider which could be very stiff to operate. P&H fitted 2mm elastic to these boats to reduce resistance. I retrofitted a mark 2 slider to this Delphin and this is smoother and lighter to operate. I have found 4mm elastic to work well with the mark 2 slider and it also means the skeg stays down when paddle sailing at high speed. Push the axle nuts back into the slot. Check the skeg operates freely. If it sticks, unscrew the two halves of the red axle bit by bit until it swivels freely. ...the fully down position and push the elastic stopper ball right into the skeg box. 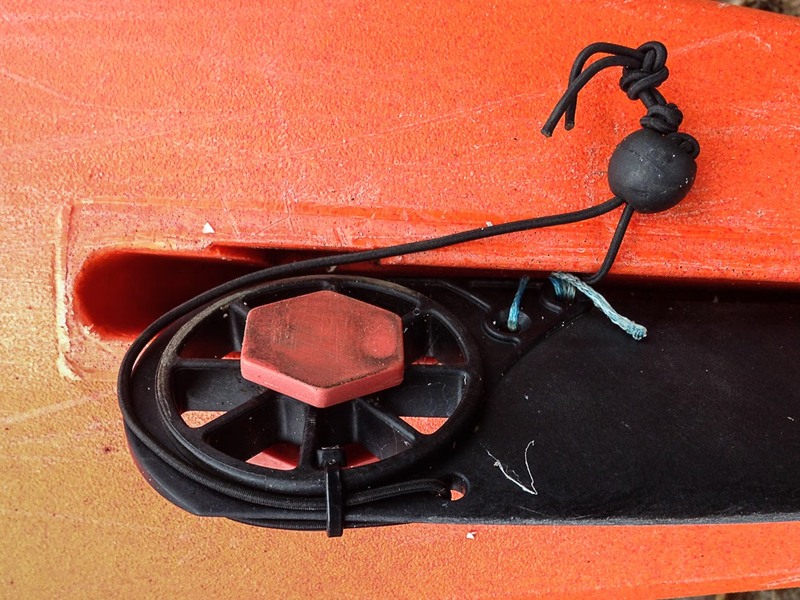 If the skeg comes too far down or not down far enough you can untie the blue uphaul cord and shorten it or lengthen it. 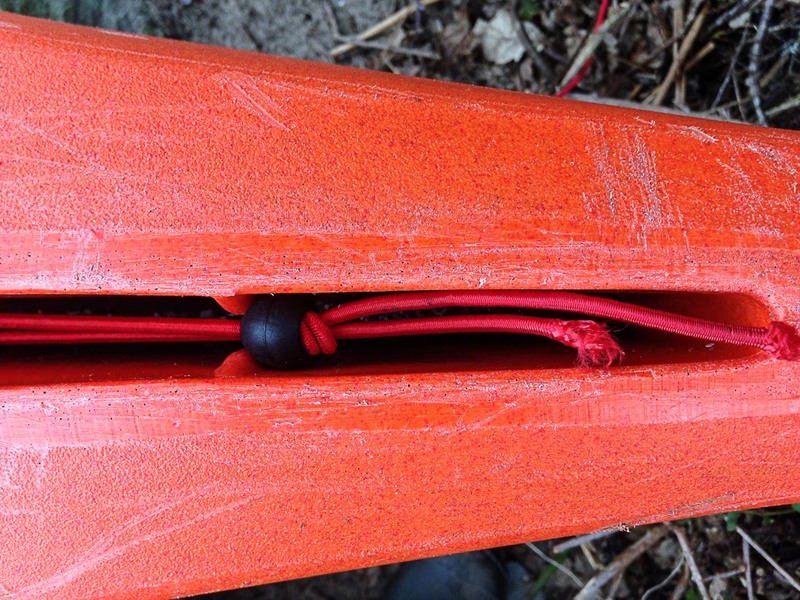 It is tricky untying the blue dyneena cord and then retying in the restricted space but it is not often necessary to have to do this. Finally hose down the skeg box and slider and when dry apply a little silicone spray to the slider.